I am now sure that I made a mistake. Due to many professional challenges and lack of free time several years ago I decided to watch “The Da Vinci Code” and “Angels & Demons” instead of reading the books. I have no regrets though as the movies and Tom Hanks, being one of my favorite actors, in a leading role behind Robert Langdon’s brilliant mind, were perfect as well as the script and directing. However, with probably few exceptions, not even the best film out there can replace the book it was based on. 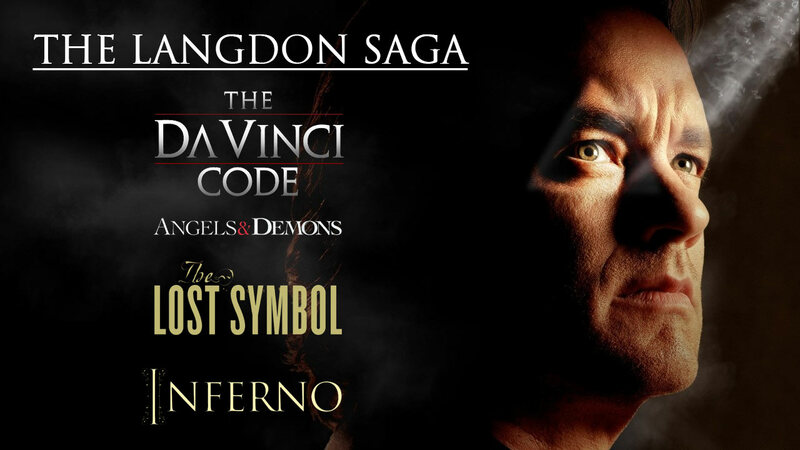 Everybody knows that, so this time I didn't let myself to continue with excuses and bought remaining two "Robert Langdon" books, “The Lost Symbol” and new novel premiered just couple of months ago by the intriguing name “Inferno”. This vacation I read them both in a row. After last page I hate myself even more for not reading first two books in the first place. 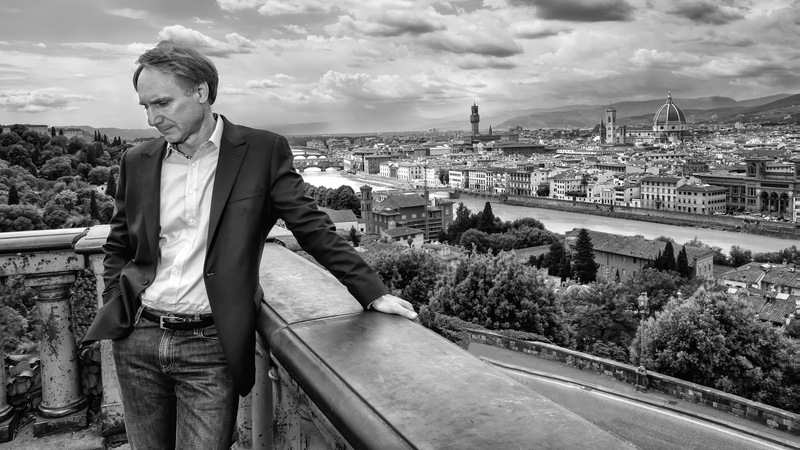 Nevertheless, I feel that I need to say something about Dan Brown’s brilliant style and little about science behind the story in both novels. For those of you who didn't read them I must raise “SPOILER ALERT” flag in remaining text. I will try not to write too much about the plot but still if you intend to read the books anytime soon, especially “Inferno” stop reading this post now and come back later. It was obvious that author wanted to get away from religion after first two novels and with remaining strong religious background in both “The Lost Symbol” and “Inferno”, move toward the science as the next best motif worthwhile enough to embed into any 24-hours chase story. While in “Inferno”, Dan Brown did amazing job and created one extraordinary science fiction piece, comparable to Jules Verne heritage itself, “The Lost Symbol”, I would say, staid in the fantasy mist of explaining religion with science and vice versa. Implanting worldwide freemasonry and potential hints of conspiracies of any kind in reader’s imagination, along with family drama, at least with me, didn't burn the flame like in chase for Holy Grail or race with time within Vatican’s undergrounds. Don’t get me wrong here, Dan Brown’s fabulous narrative and action effectively stopped me from doing anything else while reading the book and even though I was able to see the end without problems, it was one great entertainment that hammered me to the chair for days. Well, the chair here gets only metaphorical meaning since I was reading “The Lost Symbol” in more horizontal position on the beach and our apartment during our vacation in Parga, Greece I described couple of posts ago. But in the light of overall feeling after reading, perhaps the small fire started to burn with introducing the Noetic Science but soon after the very end it was clear that Noetic sub story remained as simple episode and background in the thriller, which is probably the best description of what this novel really represents. However, Noetic Science and “The Lost Symbol” inspired me for the post “Superstition vs Religion” where I tried to share couple of thoughts regarding Noetic Science and how I understand it. I am sure that in the future, even a small discovery in this area capable of connecting spiritual world with scientific thought and I mean with definite evidence of connecting the two will provide more stories in the realm of true Sci-fi and escape pure thrillers and ordinary fantasies. However, after couple of days of reading the last written book in Robert Langdon series, I can surely say that “Inferno” is something else. While “The Lost Symbol” is predictable almost to the point of spoiling of further reading, in “Inferno” nothing is pointing toward the end and in the same time every little hint, word said in the dialog, action and sub-action, all characters and their interaction are important and valuable for the main plot. All the symbolism and puzzles, one after another, don’t lead to any definite conclusion and nothing is as it seems at first glance. I didn't read any book so far so hypnotically until now trying to guess where the story would go next. No book before engaged my mind to the point of establishing more than two different predictions and even one of them was close, I failed to see the very end until I literally read the last chapter (and in Brown’s case all chapters are no longer than the length of one or two blog posts in the book of 400 pages, printed with font no bigger than 11px). The fact that main villain managed to complete the ‘evil’ agenda at the end and even the fact that his acts were nothing more than one man crusade in the scientific world against the dogmatic belief and denial of the obvious, makes you wonder to the point of what is right and what is wrong and how easily brilliant minds cross the invisible line between the two. It also makes you wonder who defines right and wrong in the first place and is it even possible in the world we live today, to achieve any scientific breakthrough without big turbulence or metaphorical earthquakes. Before we had one giant scientific leap in nuclear research and we all know perfectly well what the cost was. There is no doubt that the invisible question asked by “Inferno” is obvious. Is genetic science today standing at the same point as nuclear research in the time of Oppenheimer’s Manhattan project? Viral pandemics are not new to mankind. Probably the biggest was pandemic of highly contagious plague almost 700 years ago. Black Death killed more than 100 million people during the Middle Ages in years 1348-1350 which was probably the last apocalypse happened in the history of mankind reducing European population by 30-60%. But the world was a lot smaller back then. Today all continents are (over)populated to the numbers unthinkable if we look to it from the perspective of 14th century. Bertrand Zobrist, the main villain in the novel, in the face of genius genetic scientist, decided to take the role of 21st century black death and return the human population growing exponentially without any control, to ‘the more natural’ numbers by implanting genetic disease into every single breathing mouth, a sort of "vector virus" capable to decide whether to stay dormant or to infect targeted cells in reproductive organs and invoke sterility. This is where whole story goes brilliantly toward real Sci-fi. Even though viral pandemic infection, due to the different climate and immune systems in different regions of the planet is taking very low place in possible apocalyptic scenarios, genetic understanding of the human DNA is higher every year. Is it possible to design a virus capable to reduce human population randomly similar to Zobrist creation? From what I know, I really don’t think so. But what I know for sure is that creating nuclear bomb in some underground laboratory is next to impossible as it requires enormous energy and technology in refining nuclear fuel, while even a smallest genetic laboratory is capable of performing various genetic experiments, including creating new line of viruses by simple mutation. Many viruses can be synthesized from scratch and first synthetic virus from infectious polio family is created in laboratory almost ten years ago. However and contrary to the novels with viral epidemic plots like in “Inferno” I have to add that I also don't believe in concept of mad-scientist idea and really think that reality is safe from such experiments. Anyway and to conclude, I think that our planet is still capable enough to maintain big number of human population even if exponential curve is showing human progression toward predicted 9 billion around the year of 2050 and bigger and bigger difficulties in upcoming problems with energy and clean water and even bigger need to preserve biodiversity of all ecosystems on its surface. However, the day will come in the future, near or far, where, if nothing essentially happens in the meantime, everything we know today will start to collapse. If we don’t spread to the space by then, population grown will definitely be considered as threat and be ‘practiced’ by the low. Is this going to be within next century like in Zobrist’s grim prediction or it will require significantly more time it remains to be seen by next generations. Until then enjoy “Inferno” and colorful description of Florence, Venice and Istanbul and their numerous attractions and history. Once, in three different ages, those three cities were at their peaks of glory magnificently described by Dan Brown’s keyboard. After one week from the final thoughts in this post, I decided to perform an experiment. In the early beginning of the weekend, two days ago I found a copy of "The Da Vinci Code" in our small library, the book I bought 7-8 years ago that I never read and watched theater version of the movie instead. This weekend was the last in August and even though vacation ended couple of weeks ago it's spirit is still in the air so I decided to read the book for the first time, watch the extended version of the movie, which is 24 minutes longer than the one shown in theaters and compare my imagination with both, writer's and director's transformation of the novel into the big screen. "The experiment" ended half an hour ago and I truly enjoyed this weekend with old hunt for Holy Grail. Of course and as expected, the story line in the movie was adapted for motion pictures but still it was surprisingly similar to the novel. However, the difference between faces, landscapes and events created by my imagination and the ones in the movie are, not surprisingly, very different. As for characters I was always trying to picture them in my head by using writer's descriptions only. As detailed as they are, more accurate they became in my vision and in places where character is not described well I guess I was trying the best I can to fit missing pieces. Of course, it is hard for a movie maker to find actors that fit author's description completely and despite all the makeups and special effects, movie is never as good as the experience of reading the book in the first place. On the other end, where motion picture wins fully, action scenes are in my case always much better in movies. The same is with this one. The car and plane chases, fights, historical scenes and special effects are something I will always fail to picture well enough and no words will ever be as good as the camera and the famous director's command "Action!". In "experiment conclusion" of the post, to tell you the truth, watching the movie immediately after reading the book is something I will never do again. After all, this was just one mind experiment of mine. However, watching a movie first and reading the book years after, is something not as bad as it seems at first glance. In my case I am not equipped with photographer 'Robert Langdon type' memory and after a while the memory from the big screen fades to the point that only helps during the reading much later and it doesn't destroy entertainment too much. Or at all.